Fine Arts Insurance: Why Is It Important? Fine art valuables, icons, favorite paintings, engravings, a grandfather clock – all these things are dear to us as they keep the memory of centuries, family history, and the whole country. Jewelry, sculptures, rare books, manuscripts, designs, photo-audio-video archives, unique musical instruments, postage stamps, medals, and awards – all of them have been created by the labor of many generations. The question of the cost is inappropriate – such items are priceless! However, the question of the fine arts insurance is very relevant as everyone should understand that the damage of this type of property causes irreparable harm to the owner. Therefore, even items with a low nominal cost acquire an additional value because of their age, origin, author, or a complex manufacturing method. For today, there are two categories of people interested in such a service. The first one includes organizers of temporary and traveling exhibitions, and the second includes private collectors, museums, galleries, and the holders of corporate collections. Thereby, the fine arts insurance can also be divided into several categories, including gallery insurance, museum insurance, collection insurance, painting insurance, and others. Our partnering companies provide professional insurance services, meeting specific demands for the security of every particular artwork and taking care of the client’s most sophisticated requirements and wishes. For example, the insurance coverage proposed for the exhibition organizers protects everything related to the exhibit shipping. Such items are insured when they are packed, prepared for moving, transported, stored in the temporary exhibiting place, assembled, and eventually presented to the public. Despite the fact that the items are carefully prepared for the transportation, it is impossible to completely eliminate all risks. 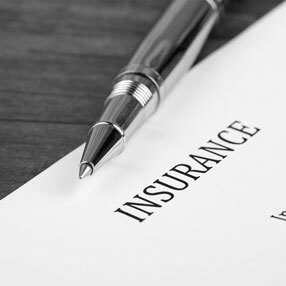 That is why, the insurance coverage for different types of art, including antiques, usually protects from fire, gas explosion, lightning strike, natural disasters, aircraft crash, water supply, sewerage, heating, climate changes, and other accidents, wrongful acts of third parties, like theft and causing harm through negligence, as well as an act of terrorism. It takes effect from the date when the fine art object was picked up and ends at the moment of its delivery or returning to the owner. Therefore, we strongly recommend insuring your precious works and collections, especially the unique pieces of art that have no analogues, indicating their value in the material, monetary terms. Remember, whatever valuables you want to ship – a single object or an entire exhibition – and regardless of the distance and destination, Fine Art Shippers will always offer the most efficient and safe way for their international or local transportation.